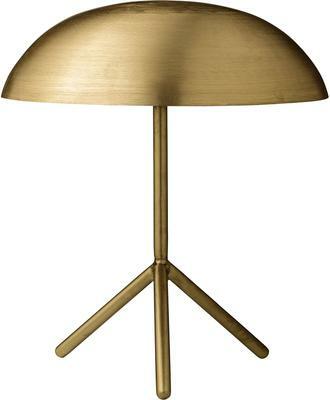 This Tripod Tablelamp with Brushed Gold Finish offers a very chic style. 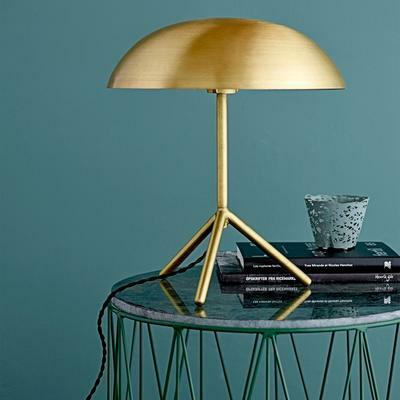 Designed like a little UFO that just landed on your table, the lamp features a dome-shaped shade that's both elegant and quirky. 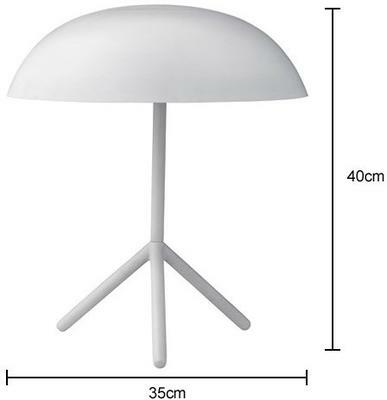 It has a sturdy stem and tripod style base for proper support. The simple design is perfect for modern minimalist spaces while the brushed gold piece makes it quite a statement piece. Use this inside your living room or inside your bedroom. You'll love how it easily captures attention.